Legend has it; the wealthy tractor manufacturer Ferrucio Lamborghini started building sports cars after experiencing a dismissive conversation with Enzo Ferrari about the nature of the comfort and reliability of Mr. Ferrari’s products. In response, Lamborghini decided to build his own idea of a fine Italian grand touring car. Thus was the genesis of the 1963 Turin Motor Show’s Lamborghini 350GTV concept. Designed and built in only four months, the car was unveiled to such acclaim Lamborghini decided to put it into production. To design his new Lamborghini cars, Lamborghini consulted the most illustrious Italian automotive professionals of his day. A number of well-received new Lamborghini models followed, but the car that really put new Lamborghini cars on the map was the 1967 Lamborghini Miura, the world’s first mid-engine exotic sports car. 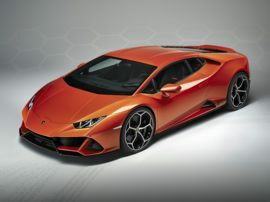 And, the first of the new Lamborghini models to be named after a fighting bull—a pattern continuing to this day. In 1971, financial woes around the world began to affect Lamborghini’s bread and butter tractor business. Lamborghini was forced to sell to another tractor manufacturing concern. And while that laid the groundwork for the end of Lamborghini’s reign as the director of his company, 1971 was also the year the world got its first glimpse of the car most people of a certain age envision to this day when they hear the word Lamborghini. The following year the car business started to falter as well. Lamborghini was forced to sell control of the company to a Swiss businessman, Georges-Henri Rossetti. 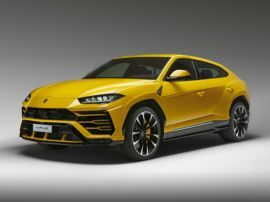 Part of the problem stemmed from the fact the new Lamborghini models could not be directly exported to the United States. The Countach for example, though introduced in 1971 and first offered for sale in 1974, was not officially legal in the U.S. until 1982. Ultimately Lamborghini sold out altogether and the car company wound up in the hands of a succession of buyers. Chrysler bought it in 1987 and produced the successor to the Countach, the 1990 Lamborghini Diablo. Still, the Lamborghini company never really experienced true success until it became part of the Volkswagen Group in 1998, under Audi. 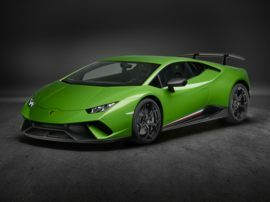 The Diablo was then followed by "more affordable" Gallardo and the Murcielago suuper car, which in turn was recently replaced by the new Lamborghini Aventador cars.